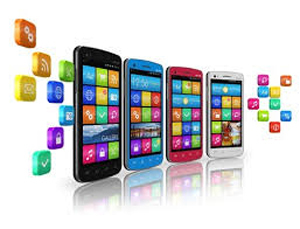 Are You Looking For A GoodWindows App/Application Development Services Company Probably In Thane, Mumbai? Now if you are confused by the term “Windows application” then it is really important to understand the concept deeply. Just like there are applications for IOS operation system, similarly, Windows Applications are designed to run on Windows Operating System. Again next big confusion which rises among all interested heads is what are web applications and how do both differ? Web applications are completely different as they run on the Internet. You need to be connected to IIS server to open any web based application. They can be accessed globally everywhere via the Internet. On the other hand, Windows applications don’t need the Internet. They can be accessed on simple Windows based Operating System. Hence both the terms are completely different. 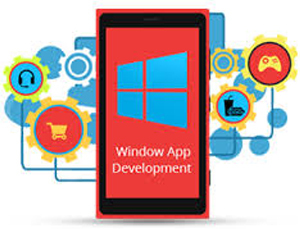 Hence be precise and clear before searching windows app development services Thane. People are familiar with Windows usage on computers. So when they get thesimilar concept of navigation on mobiles, they actually get comfortable and find it more preferable. Phone privacy can be enhanced by setting passwords for mobile’s access as well as individual apps access. When you consider commercial aspect then ecommerce field is feeling elated by using Microsoft windows based mobile apps. This software not only helps you to bond with customers with help of special offer generation as well as report generation for past purchases of customers and hence helps retailers to increase sales. Open the Windows App Store on your mobile. This App store can generally be found on Windows Phone. After you register and login with an appropriate email account, next step is to search your desired mobile app. Once you find it, simply give permission to install and there you are. It loads and then you can use your app instantly. This is very essential. Some companies show a very posh environment with over professional attitude. You get influenced by their work culture and despite paying so much money, you come out unsatisfied with their work. Existing Clients can really help you make the right decision. Keep in mind the experience which windows development company has! Access their technologies up gradation and how updated their developers are in compared to the current world. We did a good online survey from multinational companies and found W3idea as the best one in Thane. Your progress and growth is their lookout from beginning. Click on www.W3idea.com for getting further information.